Born Again Pews grew out of an awareness that there was a real need for a company to serve smaller churches with pews. We heard of smaller churches that were hit with a surcharge from pew companies, who were turned down for small orders or couldn’t get their pews installed. We know that wherever two or more are gathered in His name, they might need some pews, and we are happy to work with small churches. We also know that God doesn’t always intend for small churches to stay small. So how can you plan ahead when you order pews, without knowing for sure what level of growth your church will have in coming years? Look at the level of growth you’ve had in recent years. Think about any evangelism or welcoming campaigns you have coming up. Fill your sanctuary, certainly, but consider whether you plan a building campaign in the near future, too. But once you’ve made your best guess, you should relax. 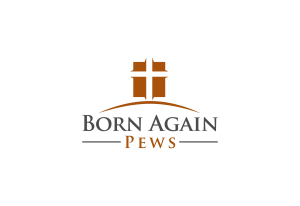 At Born Again Pews, we use Minwax finishes so that you can add more pews with confidence, knowing that we can match the finish without having to come back to your church and get one of your pews and carry it back to our shop for comparison. That also means that if you need to buy some pews now and some in the future for budgetary reasons, we can work with you. We know that the price of every church pew comes from the collection plate. We keep our prices reasonable and do our best to help with used or refurbished pews whenever we can. Share your needs with us and we’ll work with you to determine what you can afford and how you can get the most for your money.